CCL Design Israel manufactures products according to state-of-the-art procedures and regulations. Our highest priority is in manufacturing high quality products backed with a highly experienced and knowledgeable service and support teams, all together ensuring the implementation of procedures that withstand the highest level of quality assurance policies. CCL Design Israel’s management and staff play a vital part to ensure these policies are carried out and that our philosophy on quality and service is indeed implemented. CCL Design Israel has been an ISO 9001 version 2015 approved company since 1996, with high standards of Q.A. CCL Design Israel is an IATF: 16949:2016 approved company since August 2017. This new standard from the automotive industry enables CCL Design Israel to expand activities in multiple markets. 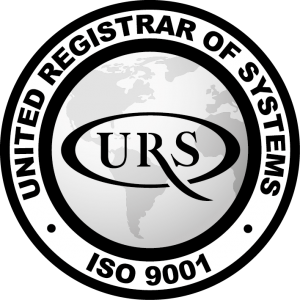 Vast majority of our products are UL approved. We are an Authorized Label Supplier for UL and are audited by UL in accordance to their strict requirements. For more information about our UL approved materials please click here . For information about our Authorized Label Suppliers Program please click here . CCL Design Israel materials also comply with environmental declaration requirements as RoSH , REACH and conflict minerals. For specific certifications, please contact our quality control department at: israeloffice@cclind.com. Nortec vast experience and knowledge gives us the added value when characterizing, designing and manufacturing labels for almost any application in harsh environments. Our thermal transfer and laser labels help you place and trace important data on PCB boards, medical devices, cables and more. Specifically designed for harsh environments, durable in high temperatures and available in various shapes and sizes our labels are manufactured to perfectly suit our customers’ needs. With distributors on 5 continents, Nortec can supply the highest quality products in short period of time. Laser markable labels Nortec’s Laser labels offer a high durability identification solution for PCB marking (LML) and for other harsh environments applications, requiring supreme readability without affecting the labels surface. Nortec is able to combine the advantage of labels with the durability and efficiency of direct laser marking into one solution. Nortec’s laser markable labels solutions are available from the following materials: Polyimide Laser Labels – A special labels with high opacity topcoat designed to withstands lead free soldering process. The labels can be marked and cut by laser and have pressure sensitive acrylic adhesive, especially designed for low surface energy applications. For more information click here. General Laser labels – High durable labels, including Tesa labels, suitable for indoor and outdoor applications. The labels are scratch, chemical and water resistant. These materials offer tamper evident capabilities as they are very difficult to peel intact from most surfaces. For more information click here. Nortec welcomes any challenge and will gladly tailor custom-made solution to your laser labels needs. Nortec’s nameplate & security labels are designed to protect our customer’s brands by providing tamper evident, anti-counterfeiting, authentication and general information capabilities. The labels are suitable for indoor and outdoor applications and have extremely high solvents durability. The nameplate & security labels are manufactured from unique vinyl and polyester materials available both blank and pre-printed. For more information click here. Many of our clients use Nortec’s laser markable labels for general identification and security purposes. Nortec’s offers labels for general product ID, compliance and regulatory purposes. The labels offered are mainly from the following materials: Polyimide – a synthetic label with high temperature resistance suitable for PCB’s and components labeling in SMT lines. Polyester – a synthetic label, suitable for indoor and outdoor uses, thermal transfer printable. Suitable as a permanent name plate and serial label for appliances and devices. Polypropylene – a synthetic label with a plastic appearance, moisture resistant, suitable for indoor and limited outdoor use. Polyethylene – an elastic label suitable for curved and round surfaces. Paper – a simple cost effective label for limited shirt term applications. Vinyl – an elastic label suitable for curved and round surfaces and outdoor conditions. Lexan – A highly abrasion resistant label, the back printing technique makes the printed image extremely resistant, it is suitable for name plates and device and screen panels. Please contact us to find out what certified materials we offer for general labels and for the full certificate information. Along with our thermal transfer labels, we provide the highest quality thermal transfer ribbons in three varieties to match the selected label material. Wide range of Resin ribbons for printing on high durability polyester and polyamide materials in various applications. Wax ribbons for standard printing on paper materials Wax/resin ribbons for printing on chromo paper and synthetics. Nortec utilizes a unique core part number marking so you can easily identify which ribbon is loaded on the printer without needing to remove it. we offer our ribbons in any shape or size to fit our customer needs. For more information click here. Our laser division has highly experienced team, with vast understanding of the medical, defense and automotive marking requirements. We are the experts in high contrast laser marking on metals, plastics and other materials with 100% validation & verification throughout the marking cycle. We also offer our customers integration of advanced laser systems in their production lines, combined with advanced ID and Vision cameras enabling code validation & verification in line. With qualified technical support team & predefined technical support programs alongside, we offer our customers a full and custom-made service packages. We invite you to challenge us with your laser marking needs. Our hardware line of products includes, thermal transfer printers, auto-application solutions, barcode readers and smarts cameras providing a complete ID solution. Feeders & Auto apply In order to reduce cost, minimize manual labor and getting faster and more accurate placement, we use Nortec’s labels on Hover- Davis Axium Feeder and automatically place them on the SMT machine. As Hover- Davis certified we present a bundle offer for feeder and premium high temperature labels in any shape or form to feet almost any customer need. Printers Full range of thermal transfer printers for high durable printing on polyester, polyamide and other materials. We are a master distributor of Zebra, Sato, Citizen, Cab, TSC and Godex. Barcode Readers Full range of barcode readers and scanners in different technologies and interfaces that enable fast and efficient reading with minimal human-errors Main vendors – Honneywell, Datalogic, Zebra. Smart ID Highly advanced barcode readers for automatic reading on production lines and SMT machines, available for 1D and 2D Data matrix. Main vendors: Microscan, Keyence. Nortec offers a variety of the highest quality materials for SMT lines, including: Conformal coatings by Humiseal. We are the exclusive distributor of Humiseal products in Israel, who specialized in conformal coating manufacturing. This single-minded focus enables Humiseal to work as a partner with their customers, developing products that are tailored to exact requirements. Solder pastes, fluxes, cored wires and solder pre forms by Indium company. Wires for wire bonding, ESD materials & equipment and adhesives by other vendors. Nortec’s material engineers and experts provide end-to-end guidance to our customers from the initial characterization phase through implementation, offering all the technical advice and support required in the process and supply the highest and most compatible material to the end-user.